Tired of pedestrian cats and dogs? Then WAFFS may be your new favourite club. The Western Australian Ferret and Ferreting Society have celebrated their beloved furry pals since 1981 with regular meetings and events, races, shows, and even a necessities shop for all of your ferret care essentials. 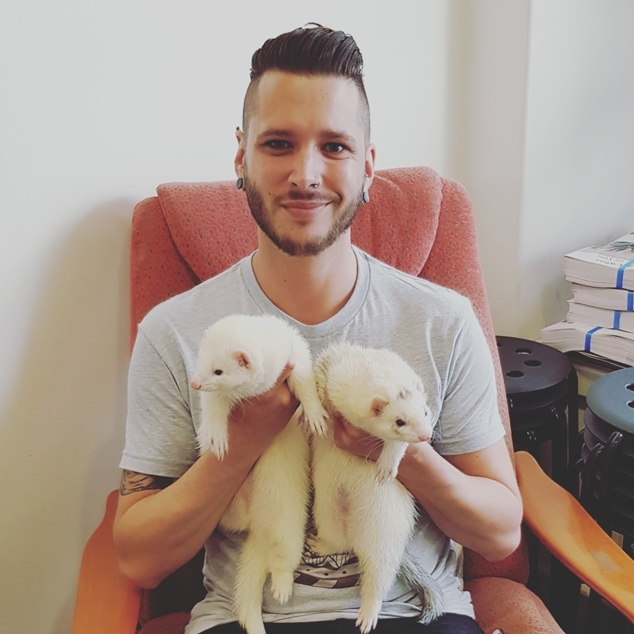 WAFFS representative Anthony Farrimond tells OUTinPerth that the annual ferret show coming up on Sunday September 2nd is a sight to behold. “The annual ferret show is a family friendly event and this is actually our 23rd show day! We have members from all walks of life, young, old, straight, gay, black, white. We are a very inclusive and welcoming community. We commence at 9:00am and usually wrap up at approximately 4:00pm. It’s the academy awards of ferret events! We encourage and welcome anyone to come along to watch the show, learn about ferrets and ferret care and our contribution to the Western Australian community. We of course bring all of our beautiful rescue ferrets to join in the festivities in the hopes of finding new families to adopt. Proud parents (ferrents) will parade their pampered pets in front of the judges in the hopes of obtaining one of many prestigious awards. We’re expecting anywhere between 100 – 120 ferrets in attendance, however as we’ve become more of presence on social media we’re hoping our biggest turnout yet! The lucky winners will be awarded certificates, ferret goodie bags with toys and treats and the big winners in their respective categories will receive a trophy with their fur babies name engraved. WAFFS Annual Show Day is coming up at Jackadder Lake on Sunday 2nd September.